In a culture where access to clean, potable water seems to be something that will never cease, the idea of water storage hardly ever crosses most westerners’ minds. But the reality is that there are numerous reasons for why all people should learn about proper water storage for both long term and emergency situations. The world’s potable water supply is gradually becoming less accessible to humans. Knowledge of proper storage practices and quality equipment is almost as valuable as the water itself. We've selected and reviewed the best water storage containers based on use, durability, capacity, and design. We’ve also compiled information from the CDC, the EPA, FEMA, as well as books and articles from professionals and preppers, about the proper and most effective practices in ensuring safe, practical water storage for you and your family. General guidelines for water storage such as volume, space, and maintenance. Before preparing to store water, whether it be for long term or emergency use, there are some general guidelines which should be followed for the sake of safety and practicality. Factors such as quantity, portability, cleanliness, storage material, storage location, and treatment should all be taken into account in order to avoid any future complications. According to the CDC, FEMA, and the EPA, the universal recommended amount of water a person needs per day is one gallon, half gallon for drinking, and half a gallon for washing and cooking. The recommended amount to have on hand during a disaster situation is two-weeks worth. So, in order to survive without normal water channels during an emergency, one person should have 12 gallons of water already stored away. For an entire family, the numbers start to add up very quickly. In an everyday setting, the average family uses 70 gallons of water per day, per person. This includes showering, cooking, laundry, gardening, and other uses. One can imagine how during an emergency or disaster situation, daily water usage will have to be conserved drastically in order to save enough for human consumption. Another major factor to consider, especially if relocation is necessary, is the weight of the water container once filled. A 55-gallon water barrel weighs 23 lbs. when empty, but can weigh up to 484 lbs. when full. Location and accessibility are important factors to take into account when storing water in larger, more long-term vessels. 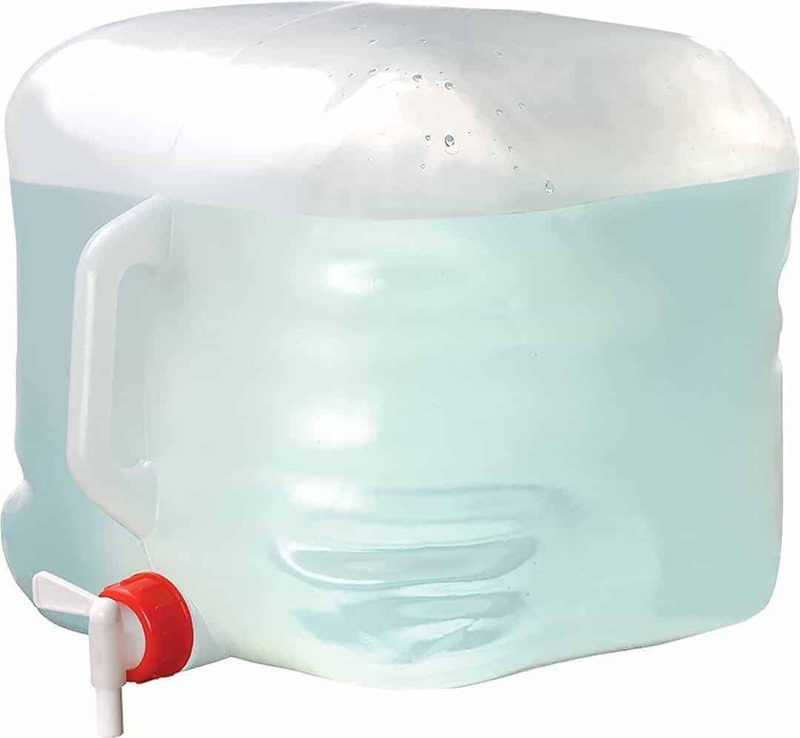 A 5-gallon water jug, more reasonable for portability, can still weigh about 45 lbs. when full. 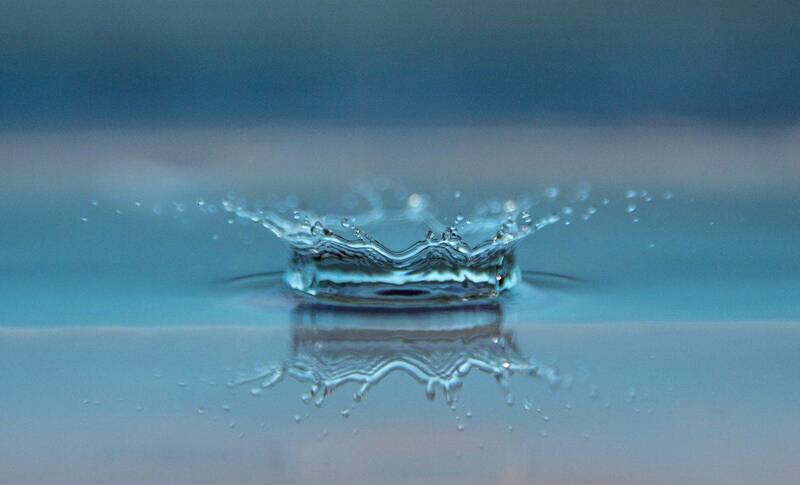 While the process of water storage is a simple concept, there are a number of things that need to be taken into consideration in order to ensure that you're supply is clean, contaminant free, and available. Before deciding on a container to purchase, be aware of the purpose it will be used for, the amount of water you intend to store, and the length of time you intend to keep it. Am I storing water away for long-term with the purpose of accessing it during a natural disaster or emergency? Is it just for myself or for my entire family? Do I need a container that I can easily transport? While water itself doesn't expire, it is best practice to replace the water supply every year just to ensure the environment and conditions hasn't altered the water in any way. While there are precautions we can take to ensure that the water is clean in its stored state, it always safer to change it out every year. 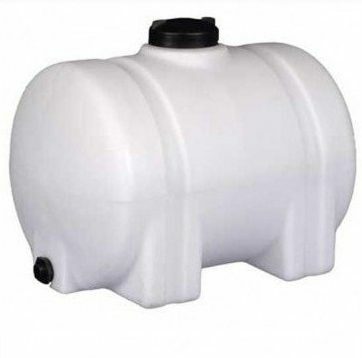 Long Term Storage for Families or Individuals - For those considering long-term water storage for an entire family in case of a natural disaster or an emergency, a larger, 55 gallon barrel would be a good choice. These can be filled, and stored away in a cool, clean are to be accessed at the time of need. 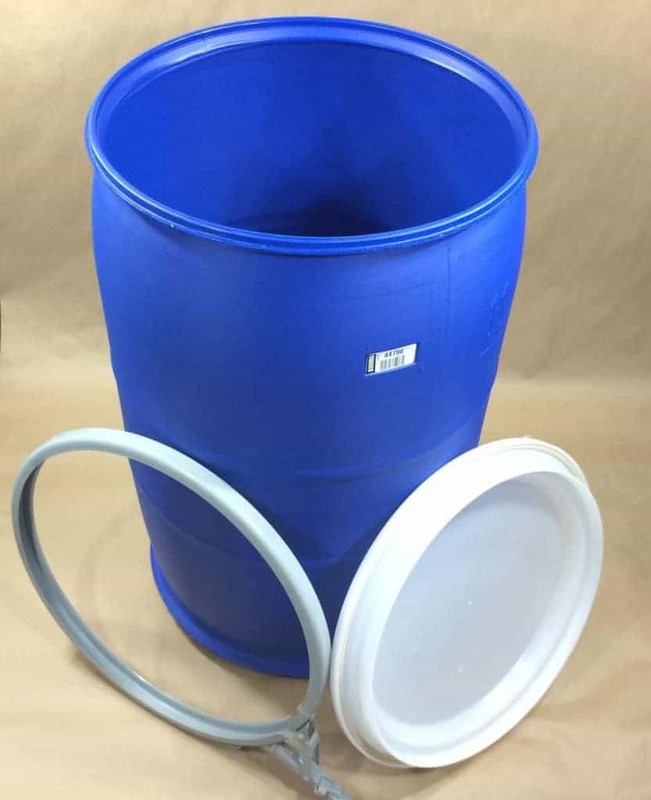 While most 55-gallon blue water barrel which are intended for water storage are already food-grade and safe, be sure to only purchase food-grade, BPA-free, polyethylene plastics as to ensure safe water drinking. Larger families might want to consider larger barrels or even several 55-gallon barrels. Be sure to have a water pump to access the water from the barrel. 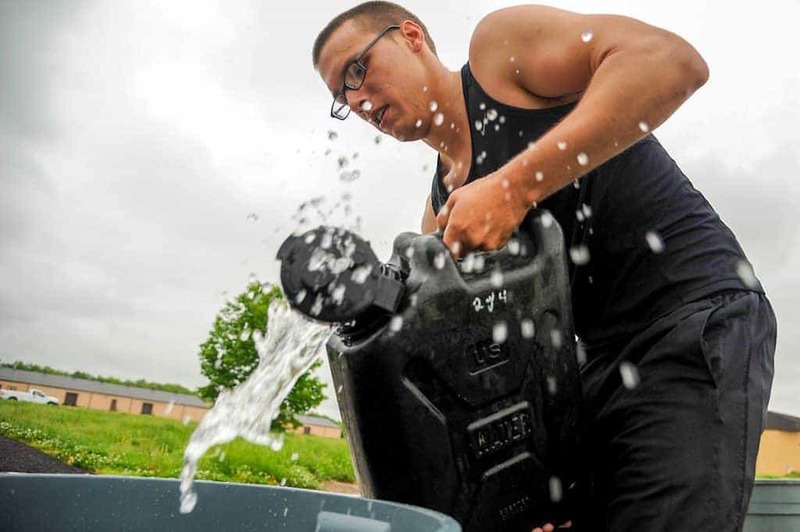 Transportable Water Storage for Emergencies - For those in need of something smaller and transportable in case of a situation where you'd need to be mobile, like a wildfire for example, a 5-7 gallon portable water tank would be the way to go. 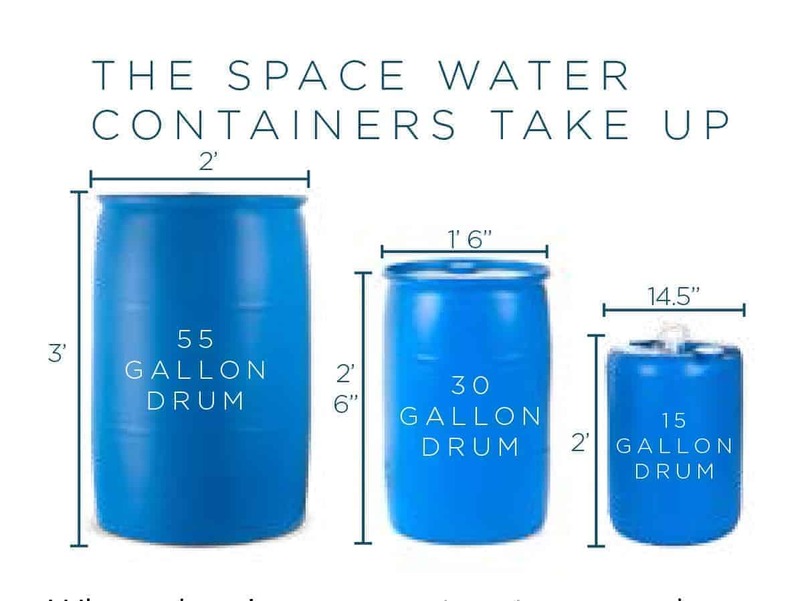 Select something that is large enough to store the amount of water you'd need yet small enough so that the added weight wouldn't be to much of a factor. As with all plastic containers, select BPA-free, food-grade, polyethylene plastics only. 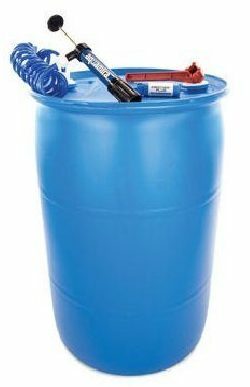 The iconic blue emergency water barrel can come in sizes as small as 15 gallons and as large as 320 gallons. The size needed would depend on the number of people and the length of time projected. Water can be accessed via siphon hose and pump while others might have a spigot or tap. Larger, vertical tanks or underground cisterns are useful for more longterm preparation or for larger groups of people. 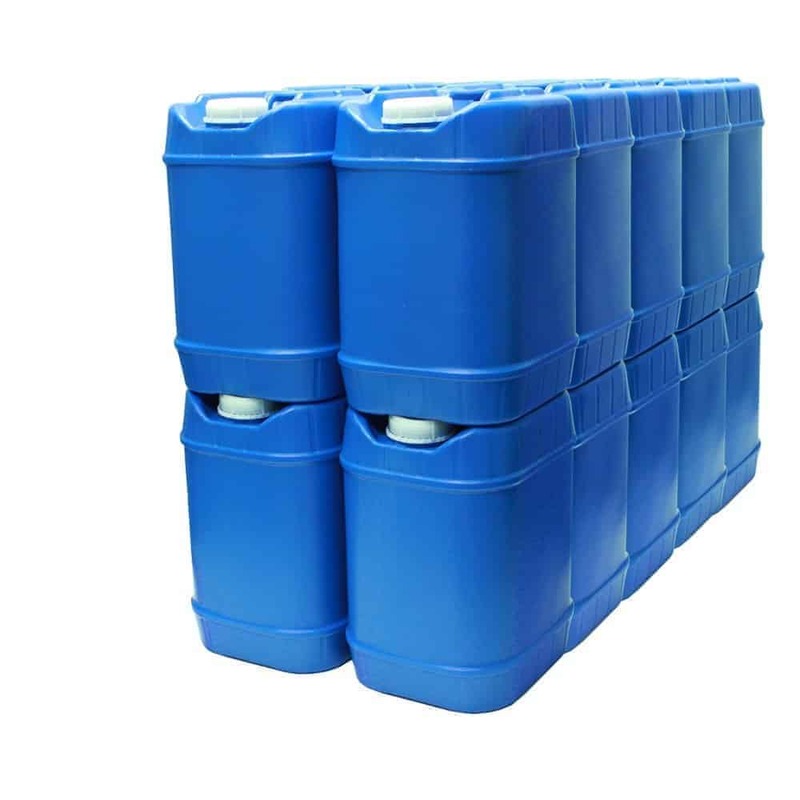 These are our choices for best longterm storage containers. This BPA-free, food-grade barrel from Emergency Essentials meets all the standards of the EPA for long term water storage. 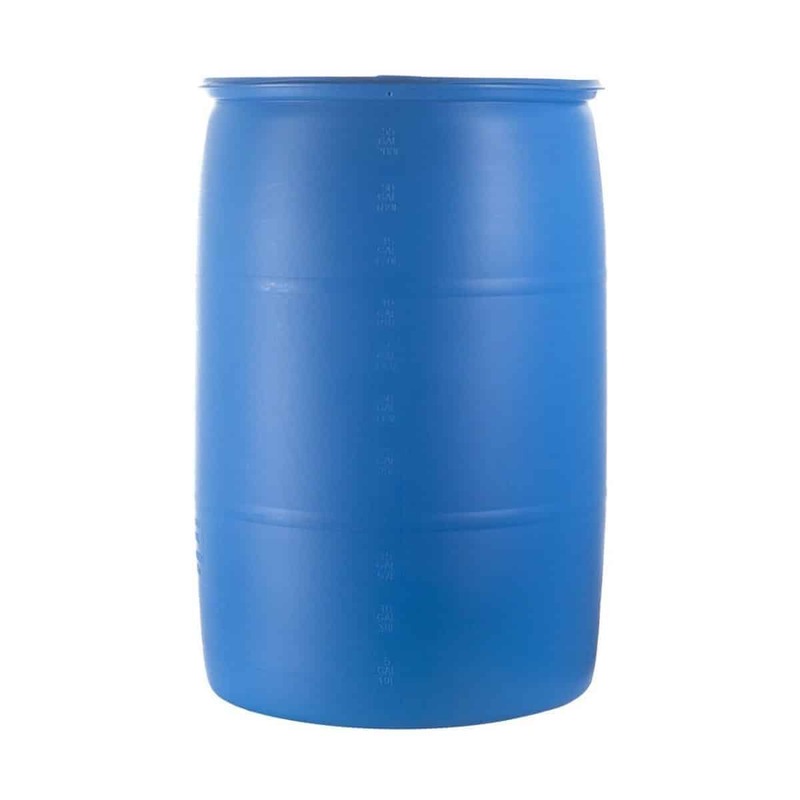 Made from heavy-duty, thick, high-molecular-weight polyethylene resin, this highly-rated drum stands 35-inches tall and is 23-inches in diameter. 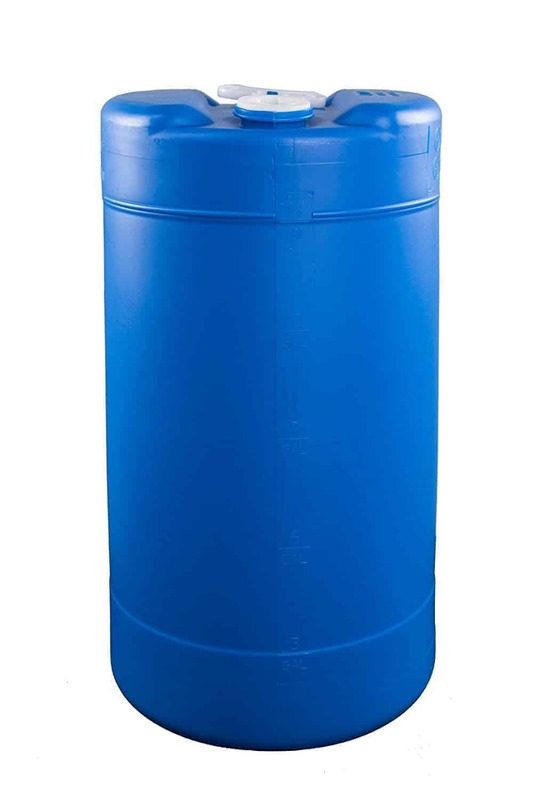 At 27-inches tall and 14-inches in diameter, this 15-gallon water barrel from Legacy Premium Food Storage is a perfect step down form the larger 55-gallon barrels. Made from BPA-free, food-grade plastic, this barrel is perfect for smaller-space storage. Weighs at 125 lbs. when filled and comes with a heavy duty carrying handle. 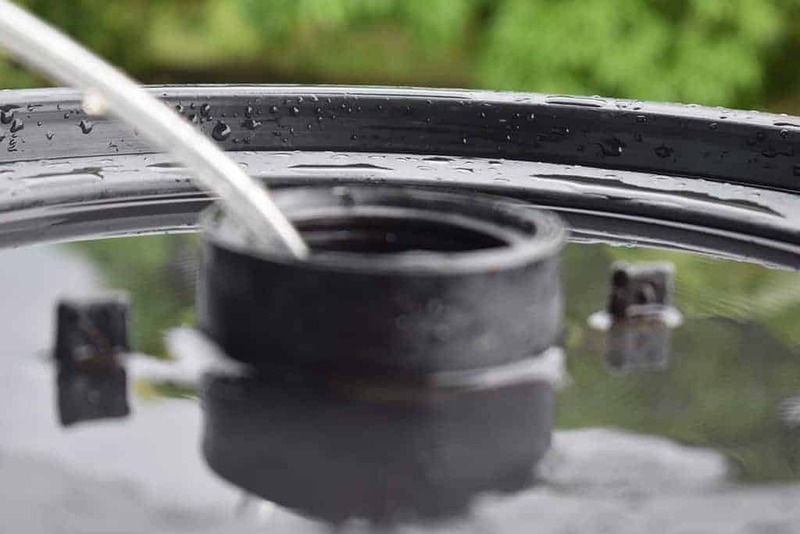 Shelf Reliance's 55-Gallon BPA-free, polyethylene barrel already comes with the water filter pump and bung wrench necessary to access water from any 55-Gallon barrel. 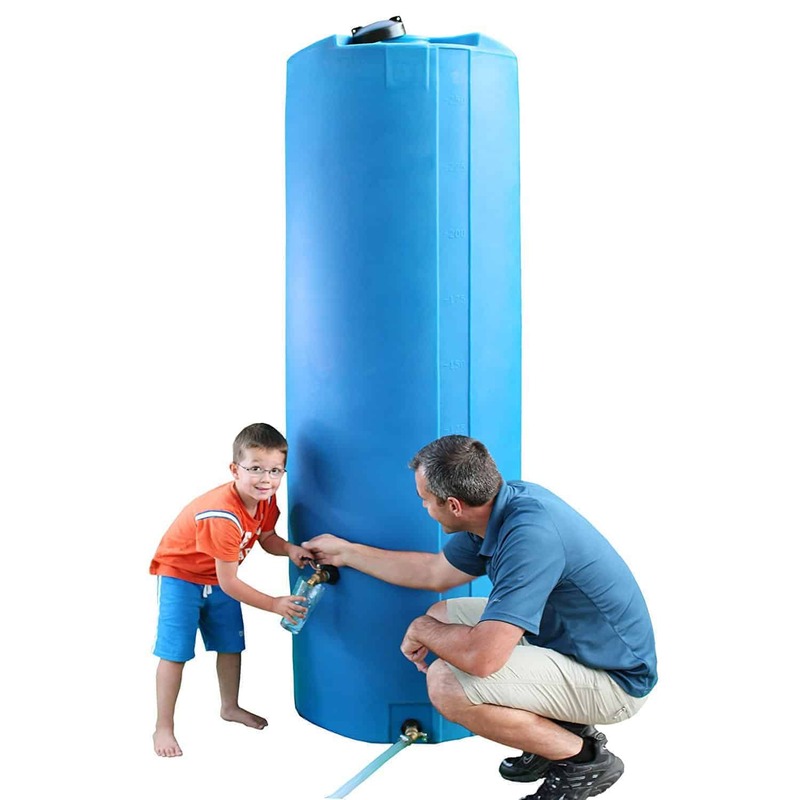 This 260-Gallon upright water tank from Sure Water stands 82-inches tall and 28-inches wide. Can be used for indoor or outdoor water storage and can withstand temperatures up to 140 degrees Fahrenheit. Water accessible through two brass spigots. Underground water tanks might be ideal for those living cold climates where water might freeze if stored above ground, or in places outside interference or tampering may be an issue. Underground water tanks must be accessed via pump. Horizontal leg tanks are practical for transporting water to an emergency or disaster site. Its low profile and sturdy legs prevent tipping and could be easily placed on the bed of a truck. Ribs in the design prevent sloshing from excessive movement and allow for rope or bands to be tied and secured. 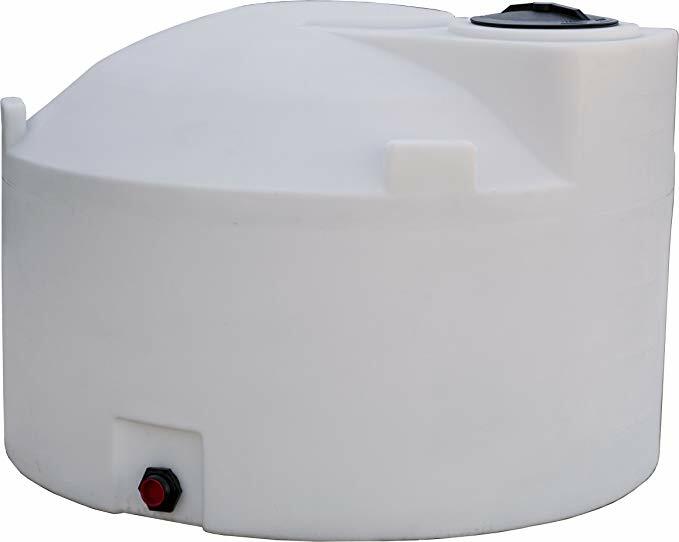 Thick-walled, heavy duty polyethylene tank by RomoTech is safe for potable water storage and is very sturdy. Easily transportable on the back of a vehicle with molded channels for saddle straps. 3-inch drain outlet and 10-inch lid. Dimensions are 48 x 36 x 28 inches. 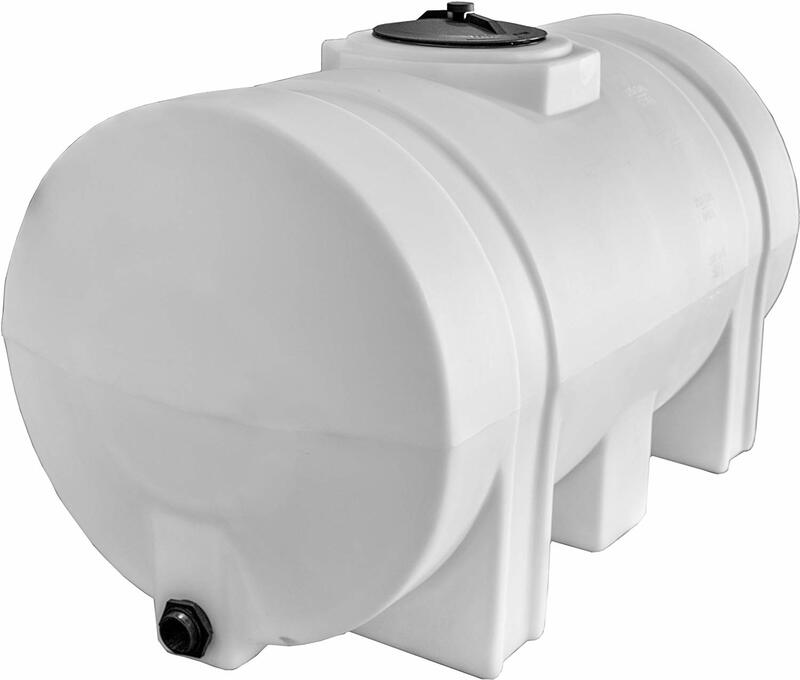 FDA-approved and safe for potable water, this 35-Gallon horizontal tank by Norwesco is durable and sturdy. Perfect for transporting potable water. Dimensions: 29 x 20 x 23 inches. Larger, above-ground, vertical water tanks can be used for much longer-term storage or as a back-up supply for an entire household. 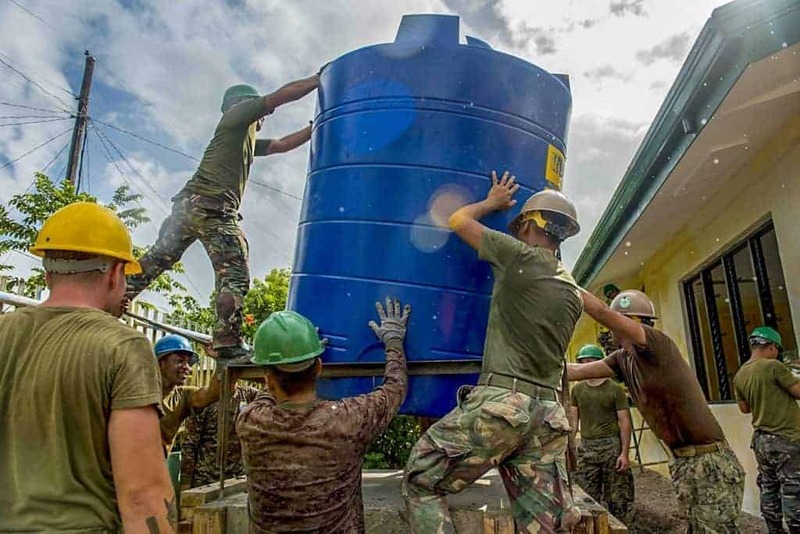 The larger vertical tanks can even be used to support small communities is rural areas. Thick-walled, heavy-duty, above ground tank by RomoTech is approved for potable water and perfect for supplying water to small communities. Dimensions: 67 x 67 x 45 inches. Rain water collection is an excellent way to store additional water from a trusted distillation procedure: precipitation. Rain barrels vary in size and often come in earthy colors so as to appear discreet. 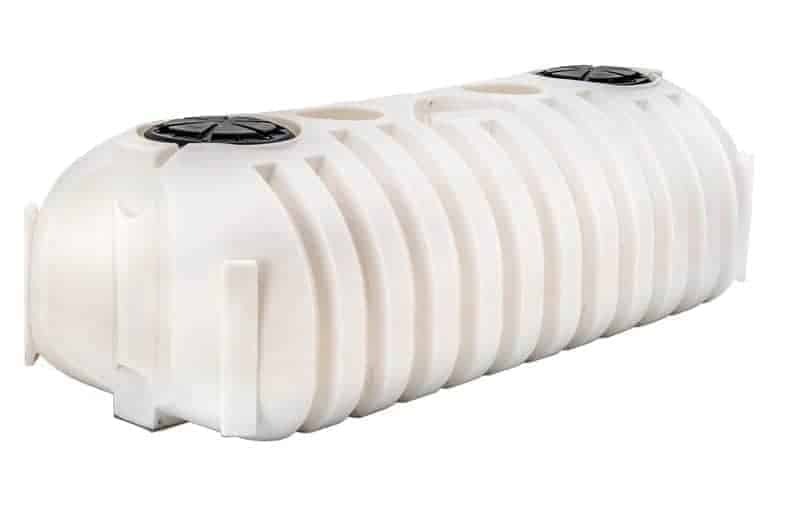 While many rain barrel consumers have noticed leakage in quite a few products on the market lately, Polymart's Rain Harvest Collection Tank is one of the most durable you can find. 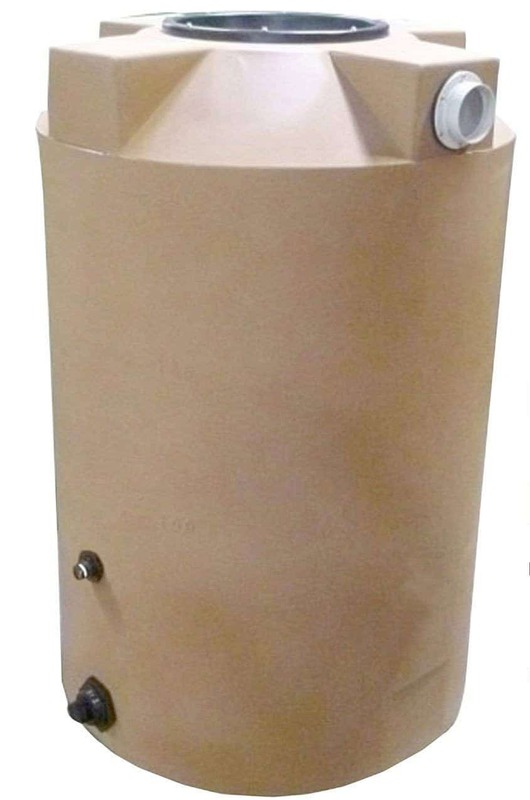 This USA-made 100-gallon tank has a built-in 12" stainless steel strainer to keep debris away. 3/4" and 1.5" bulkhead fitting for spigot installation. When mobility is essential, having a smaller, more portable means of containing water will eliminate the burden of transporting a heavier container. Consider weight as a factor when choosing a portable container as a full 5-gallon container can weight about 40 lbs. 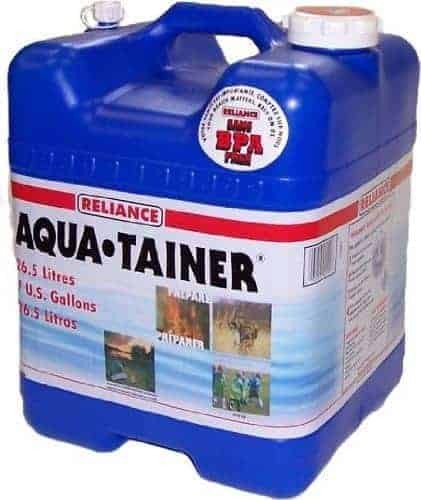 Reliance’s 7-Gallon Aqua-Tainer is durable, easy to carry, and suitable for emergency water storage. Comes with a five-year manufacturer’s warranty. Hideaway spigot and screw-on vent. Dimensions: 15.75 x 11 x 11 inches. BPA-free and food safe. 5-Gallon stackable containers made of BPA-free, high-density polyethylene food-grade plastic. Built in handle makes it easy to carry. 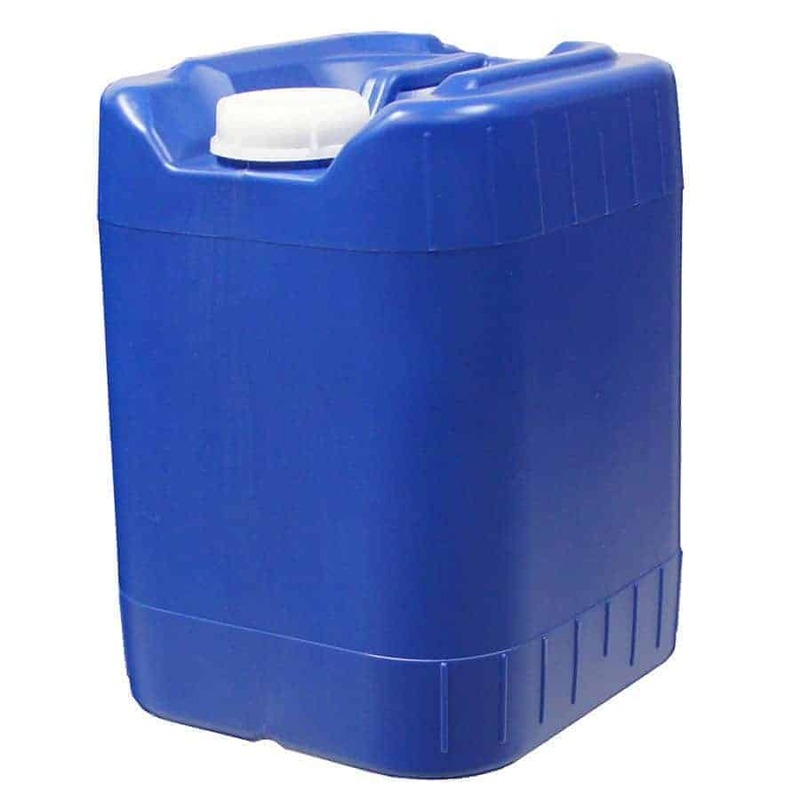 3-Gallon portable container made from BPA-free high density polyethylene plastic. Thick, durable walls can withstand the weight of a 250 lbs man. Dimensions 18 x 9 x 6 inches. 4 inch diameter lid. Stackable. 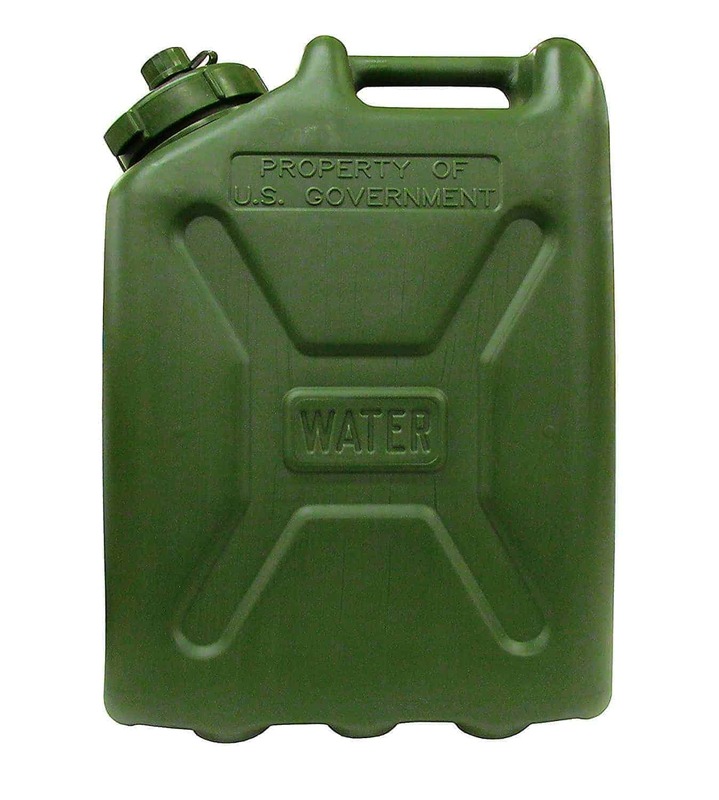 Genuine, US Military issue water can made of BPA-free plastic. Meets the toughest standards for durability and ruggedness. Dimensions 18.5 x 14 x 6.3 inches. Constructed of BPA-free, food-approved high grade polyethylene. Portable, sturdy, collapsible 5-gallon plastic water container is ideal for camp, picnic, sports events, travel and emergency water storage. 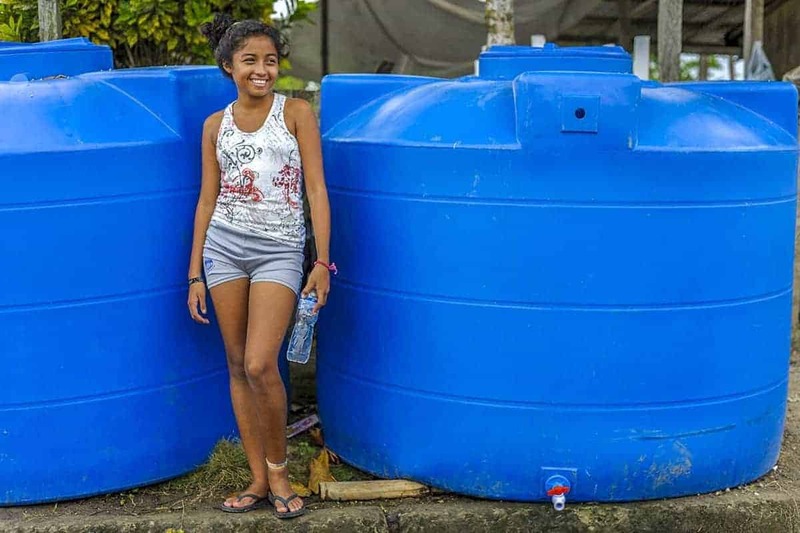 Used by the military for deploying potable water containers in remote locations or in emergency situations, onion tanks are easy to set up and can quickly provide water for a large group of people for an extended amount of time. 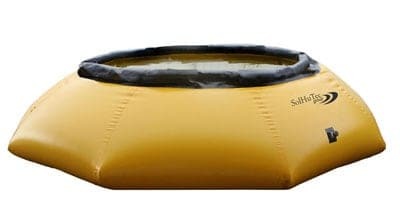 Made of durable, urethane-coated fabric, these self-supporting tanks are easily storable, transportable, and require minimal man-power to set up. Like the onion tank, pillow tanks are used for storing large amounts of potable water in remote locations for a certain duration. The ease of transport and set up make it practical for onsite disaster relief, where man-power and precious time can be devoted to other needed actions. Water itself doesn’t expire; it’s the environment in which it is stored that can alter its usability over time. Use opaque or translucent containers and keep them away from sunlight. Never use transparent containers. The safest plastics to store water in are polyethylene-based, food-grade plastics which are marked with #1, #2, or #4 on the bottom of the container. Those marked with a #3, #5, #6, or #7 are not food-grade. Just as it is with used milk or juice jugs, brand-new storage vessels need to be disinfected before adding water to them. Most water treatment facilities treat tap water with chlorine, thus tap water is usually safe to store as it is. If storing water from a well or a source where prior treatment is uncertain, or if there’s suspicion of contamination, common methods of treating the water are through water purification tablets and drops, chlorination, boiling, and distillation. When purifying large amounts of questionable water for storage, perhaps the most convenient and efficient way to do so is through water purification tablets and drops. Simply follow the instructions on the package to determine how many tablets or drops you'd need to apply to the amount of water in the container. There's a 30-60 minute wait time before the water is considered safe to consume after the tablets have been applied. But when purifying for long term storage, simply apply the drops, close the container, and store away. Water purification tablets are typically made from iodine, chlorine, or chlorine dioxide. Each chemical has its own advantages and disadvantages in terms of wait time, taste, and microbe efficiency. Read our article on water purification tablets for a more detailed explanation. While boiling water might not purify as large a volume as the tablets or drops, boiling is more efficient in killing bacteria, viruses, and parasites. The flat-taste of boiled water can be eliminated by swishing around and letting sit for a few hours or by adding a pinch of salt to each quart. If water purification tablets are unavailable, household bleach (Chlorine) can be used for the same purpose. Chlorine is the same chemical used in many water purification tablets and would just need to be measured in order to have the same purifying effect. Chlorine can kill most bacteria and viruses but is not as effective in treating the water for parasites such as Cryptosporidium and Giardia. Furthermore, chlorine will not make the water drinkable if it has been contaminated with poisonous chemicals. If water is still murky after 30 minutes, add an additional 1/8 teaspoon of bleach and let stand for 30 minutes. 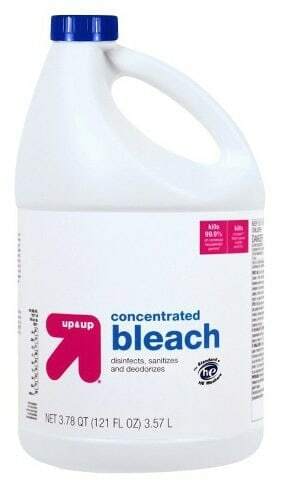 Never use more than the recommended amount of bleach as to avoid poisoning. Be sure to heed 30-minute window before dinking. Distillation is the most effective method of water purification, as it will certainly rid the water of all bacteria, viruses, parasites, heavy metals and most other chemicals, but is a slow process and yields very little drinkable water at a time. The distillation process works by collecting the condensation from the boiling process. The condensed vapor will be free of all the impurities that the water may have had at first. 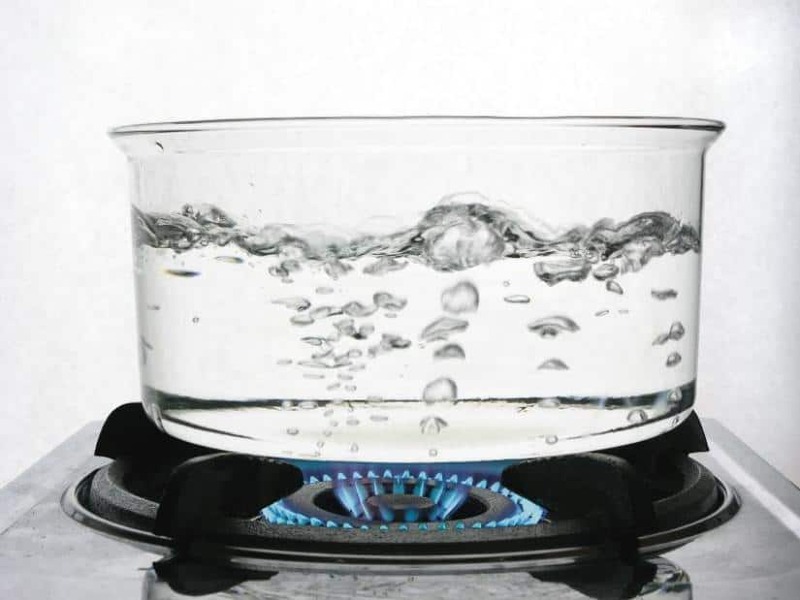 To distill water with a cooking pot, fill it about half-way with water. Turn the lid upside-down and tie a string from the lid handle to a cup so that the cup dangles above the water. 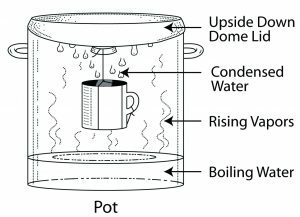 When the water is boiled, the condensation will drip from the lid down into the cup. Boil for about 20 minutes. Countertop water distillers for home use can be purchased and provide a more streamlined and efficient way of distilling water compared to the DIY method. Home water distillers can typically produce up to 4 gallons of water per day. For a detailed guide on home water distillers read our article here. Portable water filtration devices can be convenient for quick removal of bacteria, parasites, and heavy metals. Since most portable filters will not remove viruses, it is best used in combination with another disinfection method such as chlorination. To treat filtered water for viruses, follow the directions for chlorine disinfection after filtering. For a detailed guide on portable water filters, read our article here. While there are numerous places which you can collect water from, be aware of the quality of the source. Some sources, such as city tap water, are already treated with chlorine and won't require any further disinfection. Other sources, such as lakes and streams, would need to be treated before storing away. Water from pools can be used for hygiene, but not drinking or cooking. Drinking should always be the priority in terms of water usage. Other uses such as washing, bathing, and cooking must be limited so that there always remains enough for consumption. Always consume clean water first. Suspicious or contaminated water can be treated can be treated through one of the methods mentioned but will take time for it to be consumable. Always have clean water on hand, ready for consumption. Never consume water which you suspect to be contaminated. If in doubt, treat the water. Consuming contaminated water can cause illness which would need medical attention, creating a situation which can potentially be more dire than water scarcity alone. Do not drink caffeinated, alcoholic, or sugar-heavy, drinks in place of water. These drinks will dehydrate the body, requiring more water. Never consume water that has been contaminated with fuel or toxic chemicals. Water storage is something that all people should learn and become familiar with. There are countless potential events that can throw us into a situation where we’d wished we were better prepared. The CDC recommends two-weeks worth of water for an emergency situation and the average person uses about a gallon a day. Stick with BPA-free, food-grade containers made of plastics #1, #2, or #4. Take proper precautions when treating water for storage and select appropriate sized containers for all situations. 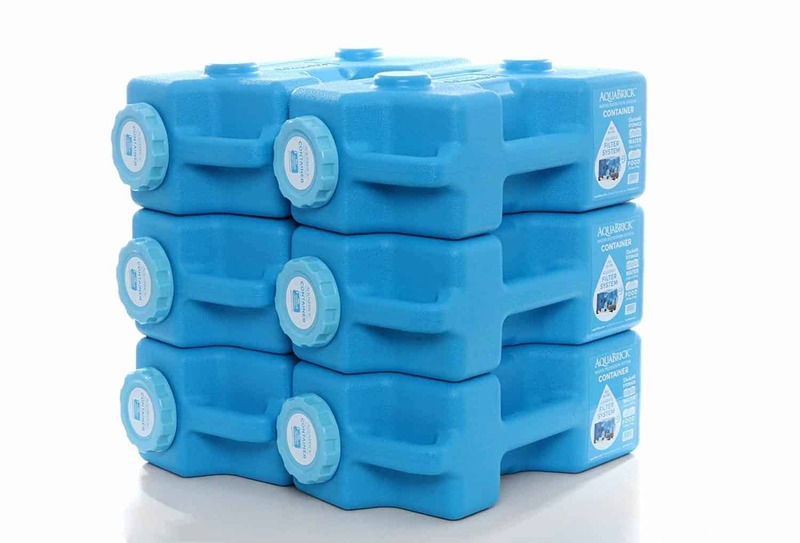 Thank you for reading our article on the best water storage containers. It may seem like much to learn and prepare for, but it’s certainly better to be over-prepared than not at all. So if we are gettting water from the city supply out of our tap at home, i dont need to use this water treatment? just store in an air tight tank and replace it every 5 years or so? Correct! Municipal water companies in the United States have to adhere to pretty strict sanitation and treatment standards before the water reaches private residences. There shouldn’t be any concern for microorganisms when storing water from the city tap for long term given that the water hasn’t become contaminated in the process. You’d definitely need to treat the water first if you’re collecting from an untreated source such as a stream or river. I’ve been warned that, while municipal tap water is is generally safe, one should consider the quality of home plumbing receiving the water.